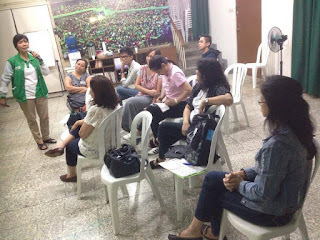 Despite the hard rains, the ASP Orientation for New Members and Volunteers, moderated by ASP Trustee Janette Peña was held in Autism Society Philippines National Headquarters last 13 August 2016. The session aims to help new advocates to understand more about autism, calibrate on disability-friendly language and introduce the work done by the Autism Society Philippines. The participants were encouraged to find personal ways to contribute to the advocacy. This special session welcomes the members of the newly-formed ASP New Manila.